The Cowboys opened Mountain West play last week and got back in the win column with an overtime victory over Hawaii. It wasn’t the prettiest of wins, but it was a win and you will always take conference wins regardless how they come. Last week the Cowboys were 7.5-point favorites when we did our panel and were unable to cover that spread. This week the Pokes were 17 point favorites when the email went out to the panel. What are your thoughts on the Hawaii game? A pretty gutsy effort from the Cowboys. The offense wasn’t great and the defense got beat up and worn down, but it found a way to make enough plays to win. Losing a game like that could have put Wyoming on a downward trend. I will go with the entire defense, which came up with key plays at critical times despite being on the field for two-thirds of the game. Whether it was junior safety Andrew Wingard’s nine tackles and one interception, redshirt freshman defensive end Garrett Crall’s tipped pass in overtime or sophomore linebacker Cassh Maluia’s interception of that pass, the defense fought, scratched and clawed its way to that victory. He will get his first start, and has earned it with his play the last two games. How will the youngster respond being “the guy” this week? I think many fans are anxious to see. What needs to happen for Wyoming to win? Be more consistent offensively. I don’t care if that means more running or more throwing, the offense has to do a better job of sustaining drives and finishing with points. Continued solid play defensively, especially against a dual-threat QB in Texas State graduate transfer Damian Williams, and more good special teams play. Wyoming may be a heavy favorite, but it has to play well to win this game — or any game the rest of the season. It felt like a game in which Wyoming never had the ball, but it also felt like Wyoming’s offense should’ve played a lot better than it did. The dropped passes and a few negative gains on reverses killed any momentum early on that side of the ball. Still, the emergence of a run game was encouraging. He was flying all over the place and his interception and pass breakups turned out to be huge in a game that went to overtime. With Kaden Jackson and Ryan Cummings out with injuries, we’ll finally get to see what the redshirt freshman can do for a whole game. Wyoming needs to avoid giving up explosive plays to quarterback Damian Williams. The Mississippi State grad transfer has the ability to break down defenses with his speed. Wyoming has been pretty good about not allowing offenses to get big plays, though, especially compared to last season. Well, a win’s a win. It wasn’t that pretty, but it was definitely a win and at the end of the day that’s all that matters. Josh Allen is still struggling with his receivers a little bit. It was nice to see him hit a completion at the end of the game. It was probably the most important completion he’s had to this point of the season. Trey Woods is the real deal, what a fantastic talent we’ve seen so far. Nice to see the defense literally win a football game for the Cowboys. Not many times in the last few years we’ve gotten to see that. Onto the next one. Had a monster game against the Rainbow Warriors. Named Mountain West defensive player of the week. Scored the second highest grade in last week’s Pro Football Focus Mountain West defensive rankings. I’d say that probably deserves an atta boy. Welcome to the show! I think the true freshman has a breakout game and this Cowboy offense finds its groove against Texas State. Pretty simple. Texas State is bad at football, so be better than them for four quarters. That means not turning the ball over, rushing the football effectively, and hopefully hauling in a few of those passes. Bobcat quarterback Damian Williams is a threat to run the football. Containing him will be key for the Wyoming defense. Another uneven performance offensively but the defense was good enough to keep Wyoming in the game. This will not always be the case in future conference games and the Poke offense needs to pick things up. A win to start the conference season is better than a loss so I’ll take it. 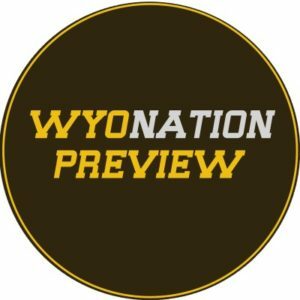 Without his kickoff return for a touchdown against Hawaii, there is a good chance Wyoming doesn’t win the game. Look for him to get better and better as he plays more and learns the playbook. Texas State has allowed more than 4 yards per carry in their last two games. Look for that to continue this weekend in Laramie. I think the running game has been solved with Trey Woods. The passing game is more lost in the woods though (get it!?) and the Wyoming coached need to do a much better job in getting Josh Allen and his receivers in better positions to be productive. A conference win is always reason to celebrate. I thought the defense and special teams came up big, especially when needed most. Tyler Hall’s roughing the kicker penalty could’ve been a back breaker because the Rainbow Warriors got a touchdown out of drive where they should’ve only gotten 3. Hall sure did make up for the penalty, as he took the ensuing kick back for a touchdown and completely changed the feel of the game. The offense is still working out some kinks, but the emergence of Trey Woods is awfully encouraging. Woods, who was my poke pick last week, provided a much needed spark for the Cowboy offense. It looks like the Cowboys have found their running back moving forward and I would anticipate that he continues to improve as he gets more comfortable. This should help get the offense rolling in the right direction. Allen hasn’t had his breakout game yet and has been in quite the funk. Obviously, a lot has to do with his WR play and lack of help on that end but Allen hasn’t quite looked right either. I think this is the week Allen really gets going and the offense gains some much needed confidence as they move into their bye week. Pretty simple formula for Wyoming this week. Do not beat yourselves. This means limit turnovers, no dumb mistakes, and score points. There is no reason why Wyoming shouldn’t win by more than 2 touchdowns, but if you turn the ball over and let Texas State hang around you never know what will happen.